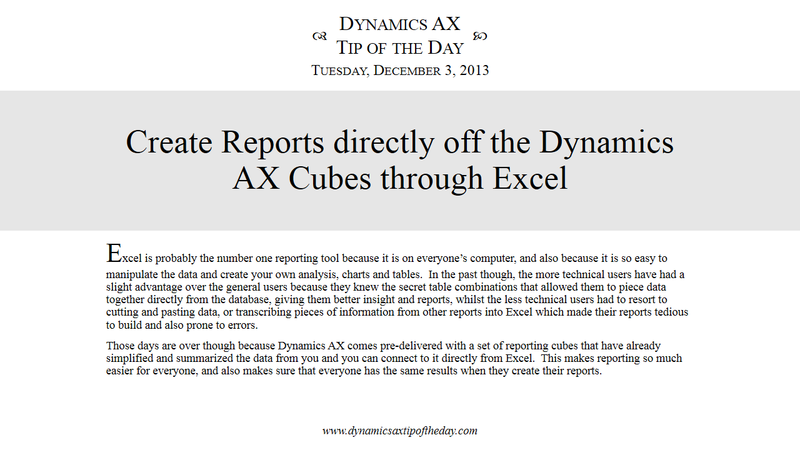 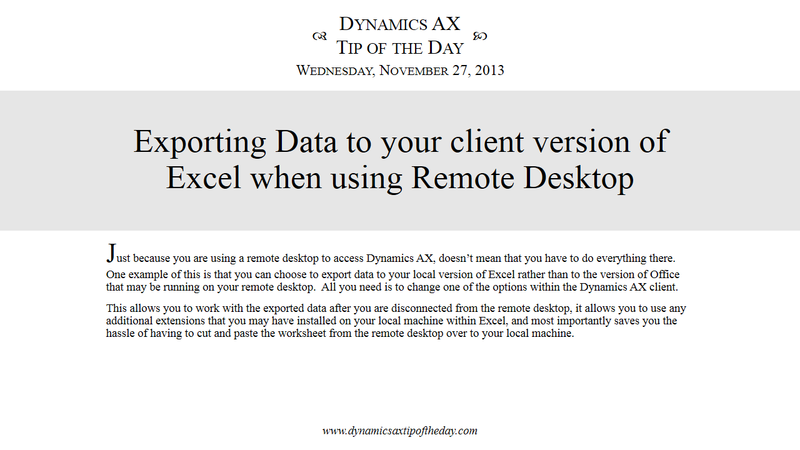 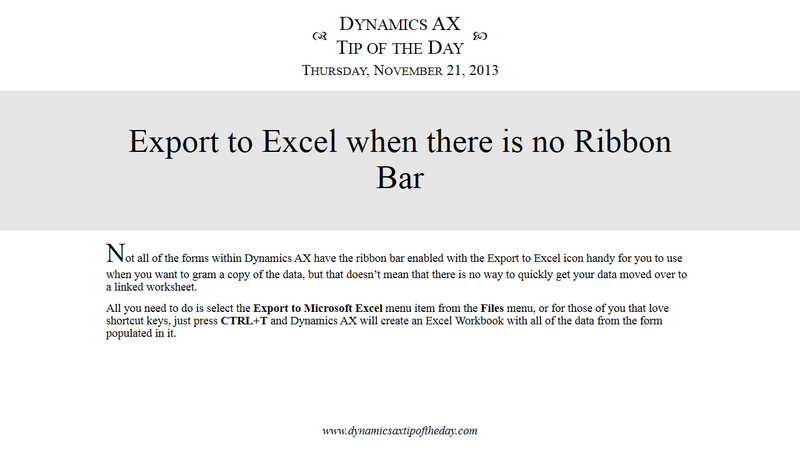 Exporting to Excel from Dynamics AX is probably one of the most used features for all of the do-it-yourselfers out there because once the data is in Excel you can create your own reports, dashboards, and analysis in a tool that we are all very familiar with. 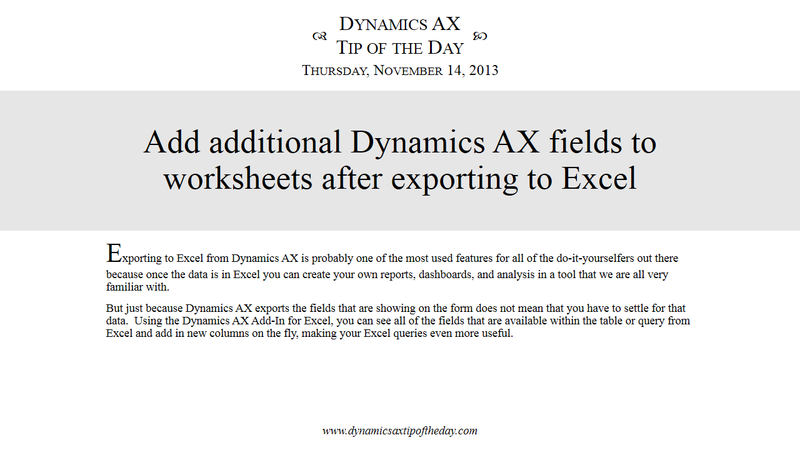 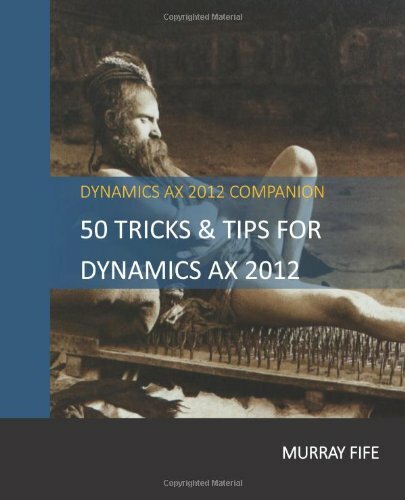 But just because Dynamics AX exports the fields that are showing on the form does not mean that you have to settle for that data. 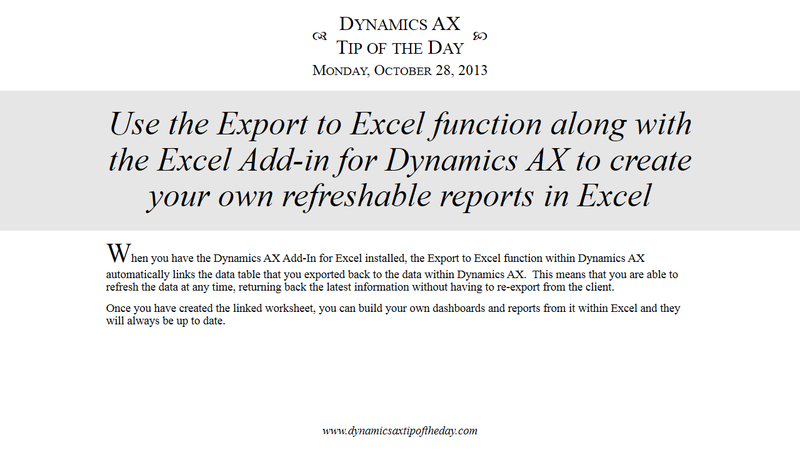 Using the Dynamics AX Add-In for Excel, you can see all of the fields that are available within the table or query from Excel and add in new columns on the fly, making your Excel queries even more useful.